Anthony Furey knows how to get people’s attention with his passionate ideas. Whether it’s speaking in front of MPs and Senators on Parliament Hill, talking to millions of listeners on The Sean Hannity Show or engaging with regular Canadians across this country, Furey knows how to connect. A best-selling author, columnist and host of the morning show on SiriusXM Canada Talks, Furey delves into the hot issues of the day from national security threats, looming budgetary crises and the political scene in Ottawa. 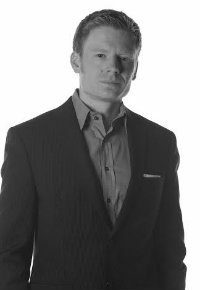 If you’re looking for an entertaining, engaging and informed keynote presentation, Anthony Furey is a “must have” at your next event. Anthony Furey is one of Canada’s most read national newspaper columnists, reaching over a million people a week through his work in the Sun and Postmedia papers across the country.And every day many thousands more tune in to hear Furey as the morning show host on satellite radio SiriusXM Canada Talks.The many other publications Furey’s written for include TIME and New York Daily News and he regularly appears on talk radio and has been featured on BBC, Fox News Channel and more. Furey’s book Pulse Attack: The Real Story About The Secret Weapon That Can Destroy North America is a best-seller that has generated attention throughout the media and in political circles in Canada, the United States and even Japan!Fun fact: He once stepped in the ring to box with Justin Trudeau! North America is vulnerable to a catastrophic attack that could turn our electrical grid off for weeks or even many months, turning our daily life into something out of a post-apocalyptic movie. But this isn’t the plot of a new science fiction story. It’s a very real threat that a number of top national security experts are sounding the alarm about. An electromagnetic pulse attack is a weapon launched from the sky to shut down the power system. North Korea has threatened to use it in a way that would mean lights out for both Canada and the United States. Few people know the details about this emerging threat, but Canadian columnist and broadcaster Anthony Furey knows everything about it. He even wrote the first ever book for the general reader on the subject. Prime Minister Justin Trudeau came to power promising sunny ways. But has he delivered them? After two years of Liberal governance, the nation’s outlook is fading to cloudy grey. Meanwhile, Canada’s opposition parties have just elected young new leaders. Andrew Scheer puts a smile on the federal Conservative message and Jagmeet Singh has the charisma and style the NDP needs. Pierre Elliot Trudeau first entered office amidst Trudeaumania in 1968, but quickly became so unpopular he almost lost the next election. He managed to turn things around and live to fight another day – but will his son by so lucky? Anthony Furey knows a thing or two about federal politics. As one of Postmedia’s leading national political columnists, who has interviewed prime ministers and top political movers and shakers, he offers insights on these issues to over a million Canadians every week.